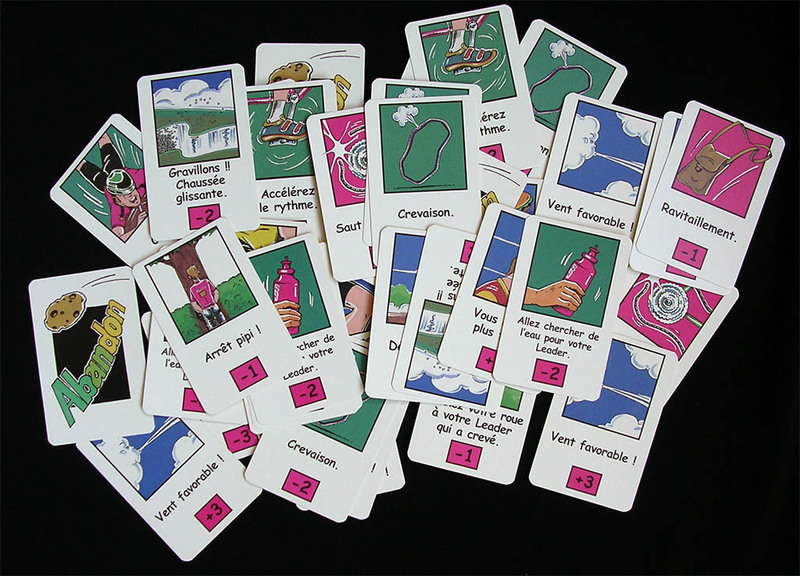 Modern French game, of which there have been three different editions before a new version (released in 2009) was different enough to be considered (at least by by yours truly) as a different game. The three boxes pictured above are not considered different games and were released (in clockwise order) in 2001, 2003 and 2005. There is also an Italian edition called "La Grande Fuga" but I cannot remember of which of these three versions (probably the last, the one with the blue box). 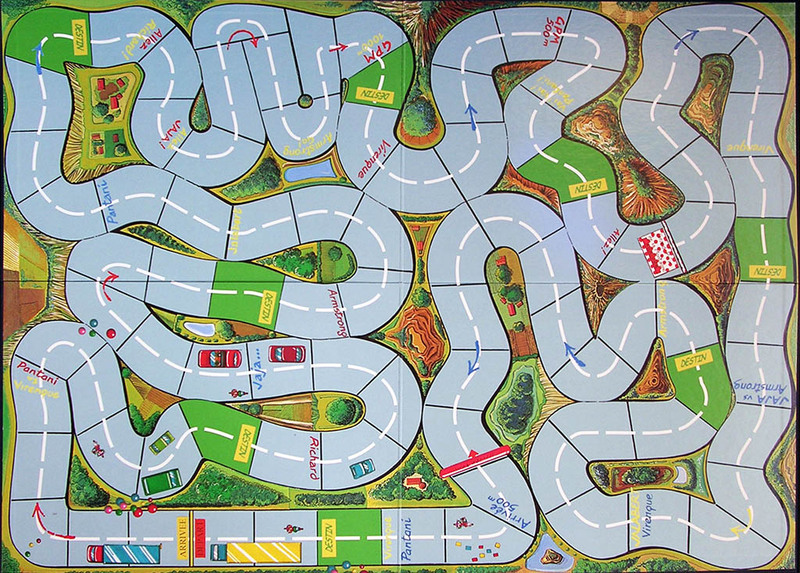 The board is foldable in 4 parts. The original 2001 rules of the game were quite simple, with a couple of nice ideas, which makes it a very enjoyable game to play with kids. 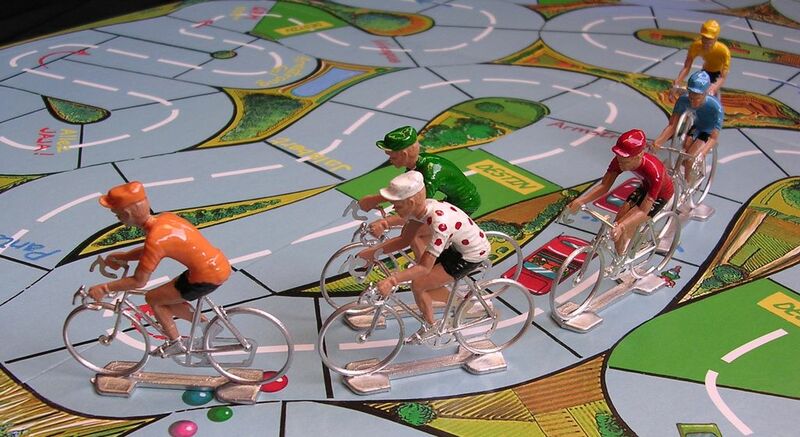 Of course, the game cannot stand its pompous 2001 subtitle ("Le jeu mondial du Cyclisme"), but I kinda like it. In fact, I think I prefer it to the modern version. 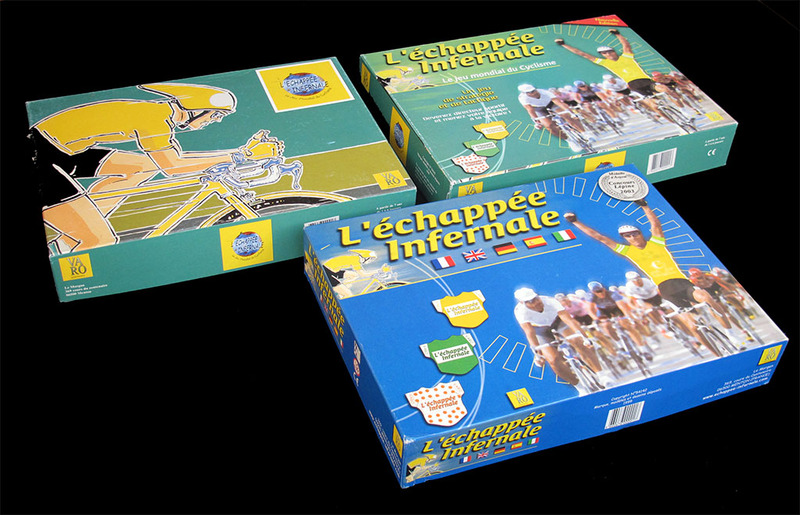 The game includes 15 white-jersey cofalu riders and five set of maillot stickers belonging to professional teams, different in each box. For more realism you can buy extra sets at their website. 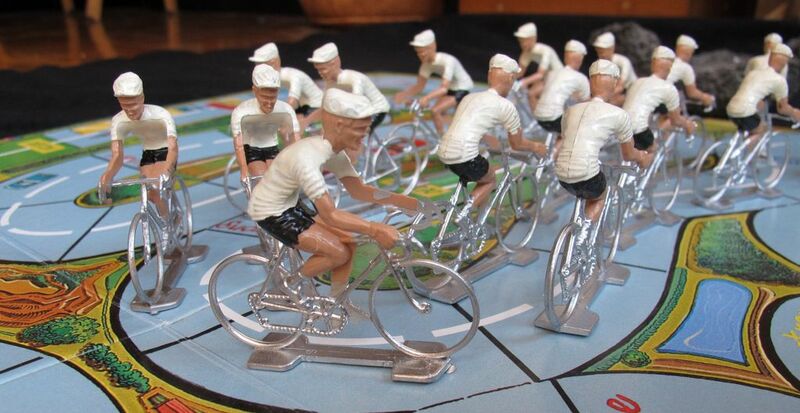 Still, I prefered to paint my 2001-edition cofalu riders and leave the stickers alone. 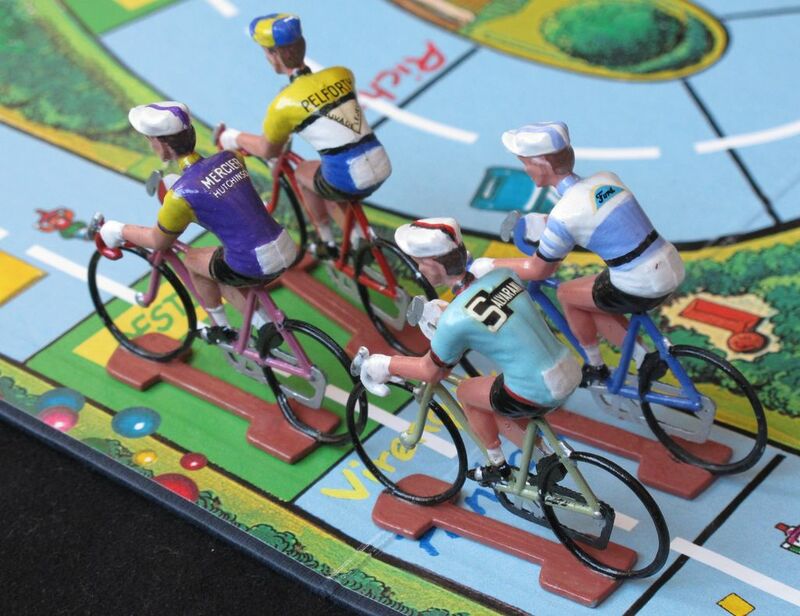 Of course you can also use professionally decorated riders!